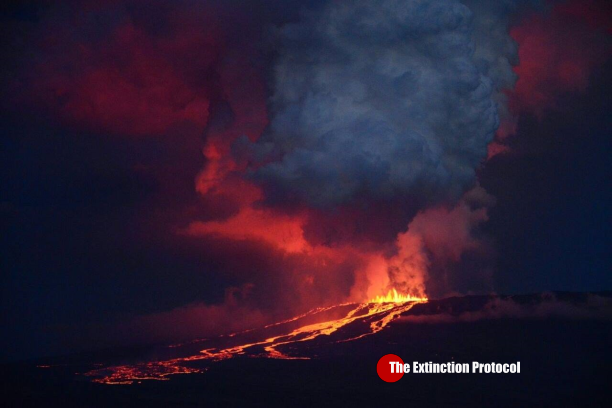 May 2015 – GALAPAGOS ISLANDS, Ecuador – After almost 33 years of inactivity, Wolf Volcano, the highest in the Galapagos Islands and home to the only population of pink iguanas in the world, began to erupt early Monday, the Galapagos National Park reported. “The volcano is not located near a populated area,” the Park said. “There is no risk for the human population.” The Galapagos Islands are located in the Pacific Ocean, some 1,000 kilometers off the coast of Ecuador. Pink iguanas share the habitat with yellow iguanas and giant tortoises, located on the northwest flank. The lava flow has southeasterly direction, so the park expects the animals won’t be affected. May 2015 – TOKYO, JAPAN – A strong quake shook buildings in Tokyo on Monday, setting off alarms and temporarily bringing the city’s subway system to halt, AFP reporters in the Japanese capital said. Scientists said there was no risk of a tsunami from the quake, which had a magnitude of 5.3, according to the US Geological Survey. The Japan Meteorological Agency earlier put it at 5.6. Both runways at Narita Airport, the main international gateway to Tokyo, were temporarily closed so staff could check for any damage. Neither was affected. Alarms on mobile phones and in buildings sounded as the quake developed with a series of vertical bounces, as well as a side-to-side shaking. The quake struck at a relatively shallow 35 kilometers (22 miles), the USGS said, putting its epicenter just 34 kilometers north of the heaving metropolis of Tokyo, one of the most densely populated areas in the world. 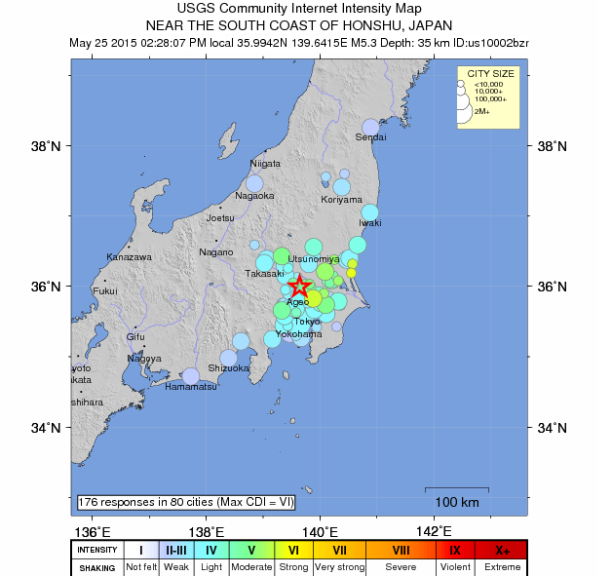 National broadcaster NHK reported the effects were felt over a large area around the capital. However, there were no immediate reports of injuries or any damage, including at any of the shuttered nuclear power stations in the region. A massive 9.0 magnitude quake that struck off the country’s northeast coast in 2011 generated a powerful tsunami that wreaked havoc in a wide area.